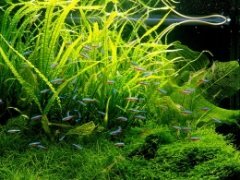 Each week in Aquascaping Answers, I do my best answering your aquascaping and aquascaping related questions. Just leave your question in the comments section! I'm trying to do a natural tank, currently with low light basic fluorescent. I want to add some high light requiring plants and use natural sunlight for a few hours, probably in the morning. Is there a 'right' amount of natural sunlight. A proper amount of time and portion of the tank to receive light? What other considerations and temperature controls should I consider? I'd be very careful trying to use direct sunlight. It's far more intense than any artificial light, and like you hinted at, can cause temperature issues as well as algae issues. Diana Walstad's "el Natural" style of fishkeeping advises placing the tank near a southern-facing window so it gets a few hours of sunlight. This means it won't really get blasted by the sun at any point during the day directly. I don't know the exact details, but I don't think that this would be enough for a high light plant to grow well in. You also have to consider the angle at which the light is entering the aquarium. You're going to get most of your plants growing sideways towards the sunlight. As for temperature, the sunlight will heat your tank quite a bit, especially in the summer, so you may need to use a fan or chiller to keep the tank cool. Also, since it's likely going to be next to a window, keeping the tank heated in the winter will be more expensive and require a better heater. Sunlight also tends to encourage algae, so you'll have to work a little bit harder to keep that in check. Overall, I'd say using natural sunlight isn't a bad idea if you want an "el Natural" style tank with low light, low maintenance plants. However, I don't think high light plants will thrive under these conditions. They need constant and direct high intensity light to really grow well. Any tips on making DIY caves? I'm going to make some for my fish soon - preferably from natural materials. Any suggestions? Well the most natural caves would be crevaces made by piles of rocks. Just make sure to select rocks appropriate for the aquarium and start building. If you're looking for a cave for breeding purposes, although not the most natural, halved coconuts and upside-down flower pots with a hole for entrance are the easiest ways to go. 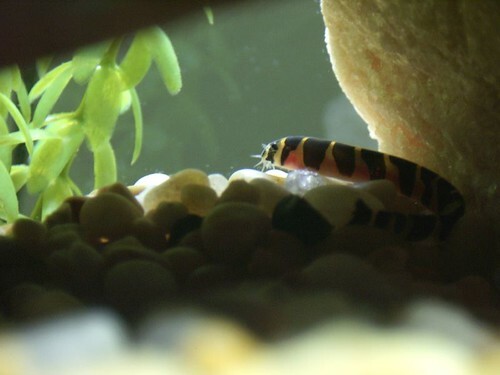 Ask a question about aquascaping, keeping aquatic plants, plant-friendly fish, lighting, CO2, fertilizing, or any other aquarium plant related question in the comments to this post, and I'll answer them in next week's edition. A lot of tanks in the IAPLC and AGA competitions use low-light, low maintenance plants. Can these plants really grow that well using low lights? I understand that C02 is almost always a must for lush growth. As an example, I can't seem to get l. brasiliensis to form a thick carpet in a medium light tank. Do you know of any low-light, fast growing plants that look like trees (preferably pine trees) and are not stem plants? Next week, could you do a special on sulawesi snails? I've added a link to this on our website. This site is awesome by the way thank you for so much valuable information! Aquascape of the Week: Reca's "O Fogar da Ayama"